Brighton & Hove Albion are to recall striker Craig Mackail-Smith from his loan spell at Peterborough. 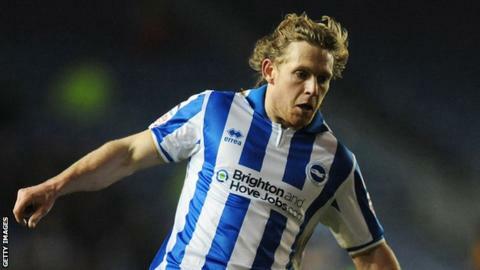 Mackail-Smith, 30, can return to the Amex Stadium on Christmas Day and will be available for their home game against Reading on Boxing Day. He made three appearances with Posh in League One but failed to score. The forward has already appeared 15 times for Albion this season, scoring three times, and returns having been at Peterborough for 28 days. Mackail-Smith played 212 times for Posh before joining the Seagulls in 2011. In four years at London Road he scored 99 goals and returned there on loan last month.